Android Ad Blocker Apps: Hola dears, I’m back again with one of the another Tutorial. In which I will guide you about some most important and best Ad Blocker apps for Android. Let me tell you that Android Ad Blockers app are very useful if you hate to see ads on your Android smartphone. Some Websites use Pop-up, which may so irritating for some users. So if you are also looking for some of the Best Ad Blocker apps for Android, then you can easily read below full step by step guide. Also Use Best Torrent Downloader Aps for Android. If you are daily user of Internet then you may have noticed that some of the Websites like Games download, Movies Download websites have irritating ads and also slow down our device, Which is don’t want to see anyone. Most of the websites owner are earn money by show ads on their Websites. So it is not really recommended to Block ads. but if you are really want to do that, then You can simply check some of the best Ad Blocker apps list from below section. So guys I think you all are already know that there are so many Ads Blocker Apk Available over the Internet for Android. But Guys Here I am going to share with you some Best ever Ad Blocker apps for Android. Here I’ve shared Some of the Best Ad blocker apps for both rooted & non Rooted Android Devices. So You can easily read, Download & install on Any of the apps from below section according to your choice, because all are working fine and Personally tested by me. 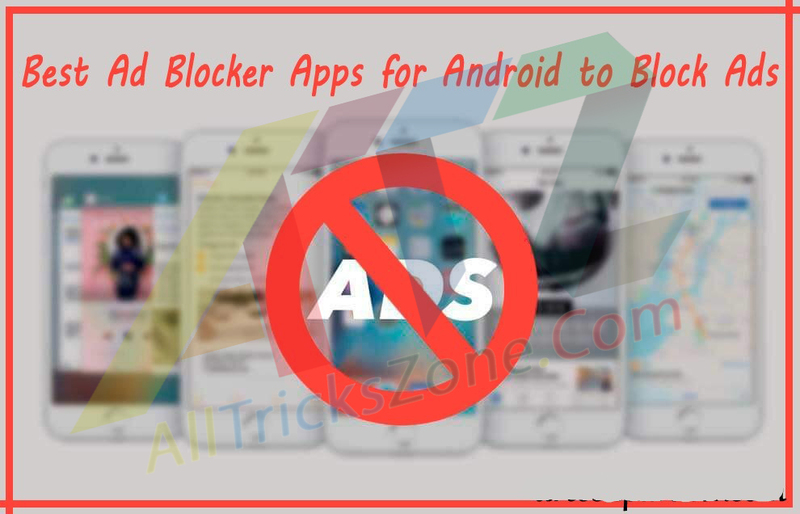 This Ad Blocker can work on Various Android devices and also help you to have a Great Experience while using Internet on your Android Devices. 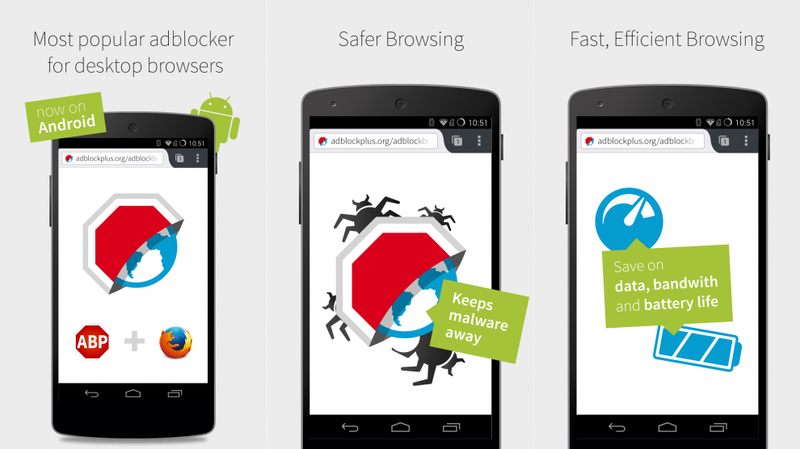 So Let’s try these Some of the Best Ads Blocker Application for android. Friends you can Use this app because this one is one of the best apps to Block ads on Android Device. This app called Adblock Browser for Android, This one is one and only one app in Best app for Blocking Ads on Android which work perfectly. This app doesn’t requires root and can work on Any of the android. This app is Actually Browser, Which can browse any kind of websites without showing any ads. So for this you just need to Install this app and simply Open. Just Visit different websites on your Own Choice and enjoy browsing Internet without any kinds of Having ads on that Sites. And the interesting thing is that for this app, This application is Officially Available on Google Play Store. So Click on below and Download & then start downloading in you Android mobile phone, then use it to Block Advertisement on Android Phone easily. This one is another one of the best & most popular Ad Blocker browser for Android Phone and also this apps will help you to surf web in more secure way. And it is powerful apps this app can block any types of Ads on All kind of websites. and also this app is look same to same Likes as Google Chrome but this browser have some more extra features than chrome. You can also lock Different websites with this app. You can easily enable HTTPS each and every websites for privacy, Block Java Script for browser even more faster, Block sites Ads and much more things. This app is also have a features of save Data and save battery life on your android Mobile. So you can Simply Download & install this application now from below and enjoy the Ad Blocks android app in your smartphone. Almost all features are same like Desktop view of Google Chrome Added in this apk with extra features. 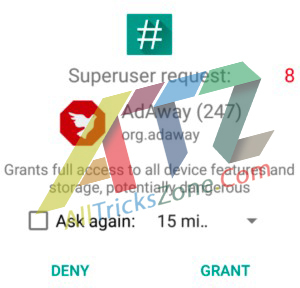 Ad Away Android Ads Blocker: AdAway is another most famous best Ad Blocker app for any android device. This Ad Blocker is designed only for Rooted Android devices. So, You will not able to use this app on non Rooted Android device. 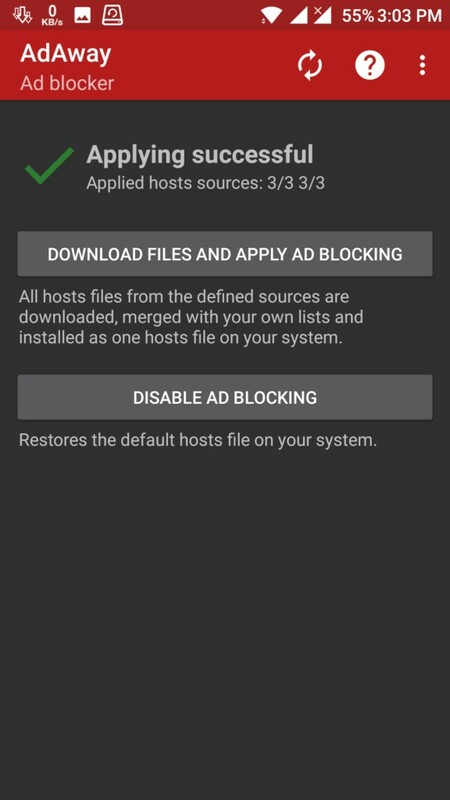 This app is have a ability to completely block any kind of ads on your Android. This is provides you some of the biggest benefit of using this app, This app is completely free to use without charge of cost. 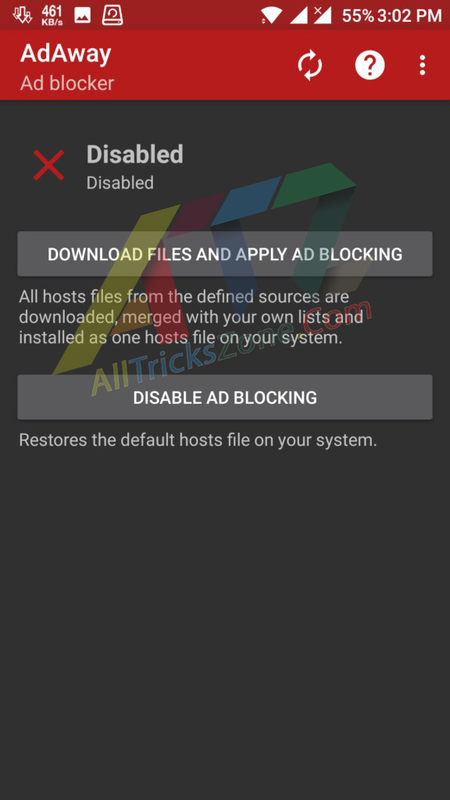 Adaway install in your System and add Ad blocker commands on Hosts file of your Android system. So, you can enable or disable this Ad blocker on your Android device at anytime with just a Single Click from this app. So let’s have a look at How can you use this Ad Blocker on Your Android from below. Yeah.! You’re done. 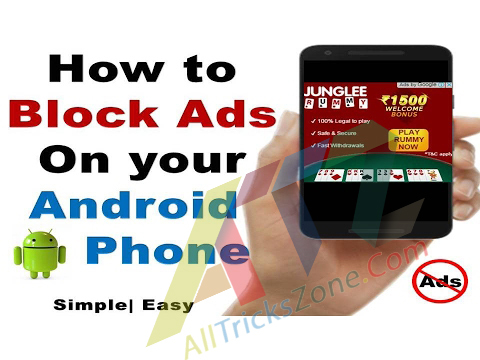 now you have successfully Blocked All kinds of Ads on your Android Device. So you can use any of the above apps, all are working fine and you will not see any kind of apps on your any Device now. If you have any questions or suggestions regarding this article, You can easily drop comment from below section. Note: Dear, I Don’t Recommended you to Use any kind of Ads Blockers Apk But Still if you want to get rid of Ads, then simply you can use it without facing any issues. So Friends, These were my some of the ever Ad Blockers Apps for Android which you might use on your Android Device. If you’re know any other good app, then let me know via comments below. All apps are working fine because this Apps tested my me before the shared post. So you can Block any types of Ads on your Android device without any issues or worries. Thanks for visiting this sites and stay tuned with us for more awesome cool stuffs same like this.